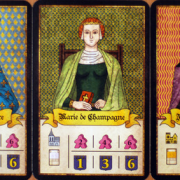 Experience new aspects of medieval French life with The Ladies of Troyes expansion for Troyes, the acclaimed board and dice game. 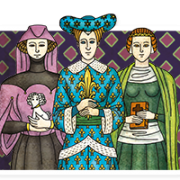 The Ladies of Troyes offers five separable modules that can be incorporated into Troyes one at a time or all together. 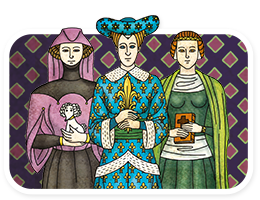 Three new Characters enter play, all royal French women with historical connections to the city, as well as new Activity and Event cards. The game gains purple dice, which you can spend like any other die, but which cannot be stolen. 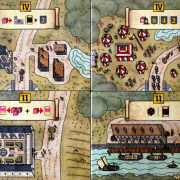 Finally, it enables you to send your citizens to explore the city’s outer ramparts, go boating in the surrounding rivers, and glimpse the French countryside beyond. 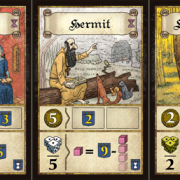 The Ladies of Troyes includes 27 new Activity cards and six Event cards to add still more variety to the game!